Are Skydiving and Parajumping the Same Thing? Are skydiving and parajumping the same thing? That’s a pretty common question and since the terms are often used interchangeably it just adds to the confusion. Both parajumping and skydiving use the exact same but there are some differences between the two. Skydiving is really for more experienced jumpers but that doesn’t answer the question as to the difference between the two. 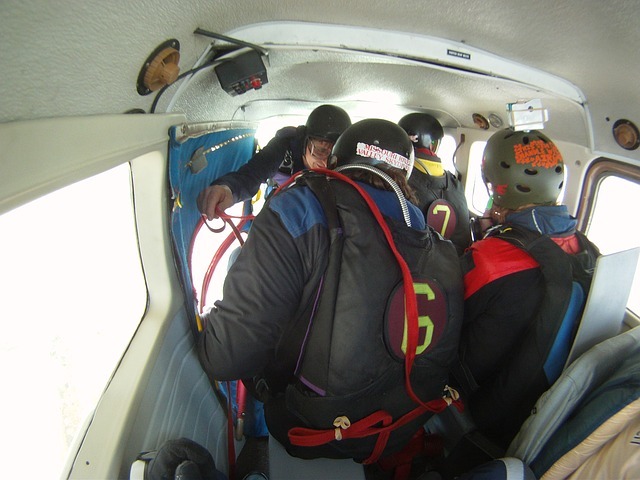 Let’s explore parajumping and skydiving and you can decide which you would rather try. Parajumping is something that almost anybody in reasonably good health can do. You and a friend can both try parajumping for the first time together and schools will even offer up discounts for first timers or for charity events. There will still be some instruction that you will have to go through first where you are taught about your equipment and safety. On the day of the jump you will still do a run through to make sure that all of your equipment is in working order. 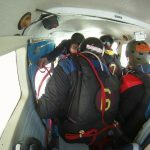 For the first jump you will probably do Static Line Parajumping, that means that your parachute will be pulled automatically when you jump out of the plane. The parachute is attached to the inside of the plane so that when you exit it is pulled. The military also uses this type of parajumping, when you see soldiers in a row all leaving a plane they are static line jumping. Here is a look at static line jumping. Now let’s look at skydiving. While the terms have been used interchangeably skydiving is slightly different. You do use the exact same gear but when you exit the plane the parachute is manually pulled by you. During the time you exit the plane until you pull the rip cord you are in free fall. You are quite literally falling through the air and you can reach speeds of more than 100mph as you descend. For many jumpers this is the thrill they are chasing and what they love most about the sport. Free falling is what separates parajumping from skydiving and it requires more training and experience than just parajumping alone. If you have never jumped before and still want the thrill of a free fall then you can try skydiving while in tandem with an instructor or experienced jumper. You will still have the thrills you want without having to worry about remembering to pull the cord. No matter your preference the experience is still thrilling. 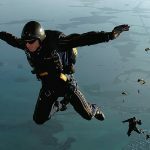 Parajumping or skydiving isn’t just getting on a plane, jumping off and letting gravity do the rest of the work, it is about surviving and enjoying the jump. In order to do that you need the right training and equipment. 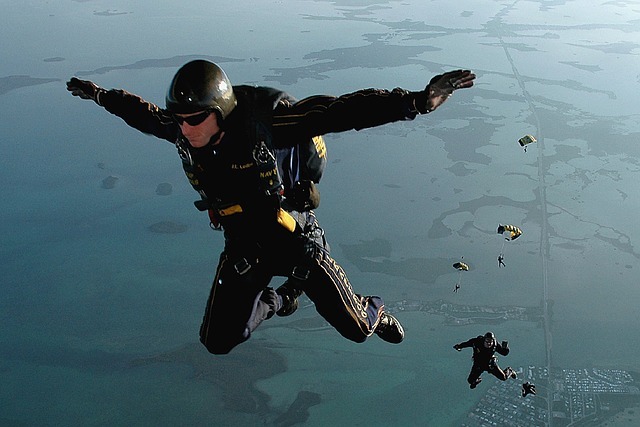 Thrill seekers and adrenaline junkies have been jumping from planes for decades but for the most part they all take whatever precautions they can to make sure it is done safely. Here are some of the essential parajumping gear that you are going to need. Hands down, the parachute is most essential piece of equipment that you are going to need. The parachute is what slows you down and allows you to reach the ground at a reasonable speed that you can survive. Most jumpers also have a backup parachute in case something happens. Unless you are really passionate about jumping and do it several times per month you will probably rent one from the drop zone. It is cheaper and easier than maintaining your own. Jumping and traveling at those speeds exposes you to the elements, particularly strong winds and cold, you can’t jump wearing just anything. A good jumpsuit is wind resistant, will help keep you warm and protect your body. Landing can also be rough and the jumpsuit will help protect you from getting scratched or cut when you land. If you want to free fall you will still need to pull your parachute once you reach a certain altitude in order to make sure you can safely land. If you wait too long the parachute won’t slow you down enough and if you open too early you can rip your chute. The altimeter tells you the perfect time to pull the cord and open your parachute. If you ever plan on jumping at night then the altimeter is crucial to your survival. It should go without saying that you need a helmet and other padding to save you from injury on landing. Helmets, elbow and knee pads are all essential but you might consider adding some type of spinal protection to your gear. If you land on your back then you definitely want protection. Parajumping is an adrenaline rush that very few things compare to, it is defying the elements and the laws of physics and there is no feeling quite like it. But even defying the elements requires the right safety gear so you can live to jump another day.